YES! I want to help the TRCP boost sportfishing opportunities by improving management of menhaden and all forage fish. Your tax-deductible donation will support TRCP's conservation efforts. Now TRCP supporters who give $10,000 or more can receive a Kimber Rifle and an Orvis Helios 3 Fly Rod. See below for options. Based on an action designed for magnum cartridges, yet set apart by the bold gran of an A-grade French walnut stock with ebony forend tip. 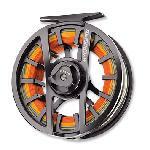 Designed with a 22″ barrel and a 1″ thick Pachmayr Decelerator recoil pad. Durable and exceptionally accurate, the Mountain Ascent is the lightest production bolt action big game rifle available today. Helios 3F and 3D each offer uncompromising purpose. 3F is accuracy with finesse, a dry fly angler's dream. 3D is accuracy with power at distance for pinpoint delivery of larger flies. The difference is taper and stiffness, but the design foundation of accuracy remains constant. To play the game at its highest level there can be no compromise and for every angler the H3 is the pinnacle of purpose, designed to master the moment and meet the demands of accuracy on a spring creek with a 3F or a tarpon flat with a 3D. The YETI Tundra 35 Cooler is the ultra-portable model of our Tundra line, small enough to easily carry while still packing in the recommended 20 cans. Wherever you decide to take it, this portable cooler's sturdy, one-piece construction will stand up to the rigors of the journey. Branded with the TRCP logo. 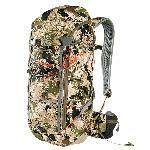 The Ascent 12 is a stripped-down, dialed-in daypack for moving fast, this panel loader opens into a 1,200 cubic inch main compartment, complete with hydration bladder sleeve and suspension hook. Three zippered mesh pockets inside the front panel organize your necessities, while external bungie compression doubles as additional storage. No more buying smaller men's technical fishing shirts. 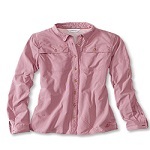 Orvis has tailored this women's version of their best-selling long-sleeve Open Air Caster with the active woman in mind. TRCP-branded. Raspberry wine with dark pink stitching. Sizes may vary. This mid-sized Buck knife, with TRCP engraved on the blade, is perfect for everyday use and in the field. Stand out or blend in while showing your support for the TRCP! This camo or blaze orange TRCP logo hat with a waxed cotton bill is perfect for all year round wear, not just for hunting season. 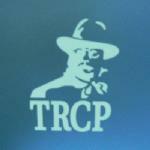 Show your support for the TRCP with this logo decal. Whether you put it on your car, boat or cooler, you'll let people know that you're committed to our mission of guaranteeing them a quality place to hunt and fish.